Well it finally feels like summer has arrived and for once all of you who took on Endure this year must have loved the dry ground, having had 2 years of rain, I can only imagine how good it must have felt to have a firm footing to run on, and trainers that didn’t require a seat at the camp fire after every run, and unbelievably nothing got lost! Don’t suppose anyone found a blue tent lying around from last year! No didn’t think so, but it’s a great event and running at night I found to be an exhilarating experience so I hope those new to the event enjoyed it to. Hard enough to rotate in a team of 5 and get some sleep, and yet some teams were reduced to 4 and yet you all coped admirably, for the 1st time we had 2 solo runners, I take my hat off to them both for taking this on, Ben smashing out 70 miles, and gutted for Rodger who would still be out there now I’m sure, if only he’s feet would have allowed. We have had two race winners this month, well done to Russ Sharp winning a 5 mile charity (unofficial) race held at Clacton, with our very own club celebrity Shawn Leek presenting the prize. The speedy Joe Alexander returned from university to win the sprint triathlon at Harwich by a comfortable margin of 1 second! Luke not content with this took on the Flitch Way half, and secured a PB in the Friday 5 series at Kirton, he was joined by Frank G, Dave Nugent, Michael Belton, Peter Reeve and Mark Ross at both Kirton and Bury. Michael Belton and Dave Wright had good runs at the tough round the island race in Mersea, John Bush took on the up, down, up, down, up, down, are you bored yet! Southend half, not one for lovers of variety on route, but it is pancake flat and guaranteed to be hot just when you don’t want it to be. When it comes to scenery look no further than where Tom Fowler is running, gaining a Bronze standard at the Heritage half, and Congratulations to our very own blues brothers Paul Hollidge and Scott Young on reaching 50 PK runs. Injuries seem to be on the rise at present and I would urge you all that are currently side lined to have a good think about your training and racing schedule, we all want to run faster, and with the increasing number of races available the temptation is there to run this one and then that one, but do try to limit this if you can, pick a race you want to do well at, train specifically for that distance, use the odd shorter race as a test, but to run your best you must take adequate rest and vary your training. Rest and recover fully before stepping back to the road, easy to say I know, but if you don’t, then consider an even longer lay off and it pays to be patient. In race 4 of the Micky Edwards series, Michael Sommerland and Dave Nugent took huge chunks off their previous times, with Michael finishing a gallant 2nd in the heat, Stuart Baggs also took huge strides up the leaderboard with he’s improved time. And by the end of race 5 the overall leaderboard had changed completely with Peter Reeve now in pole, having consistently taken time off in every race, Keith Oakley with over a minute off took 2nd place in the heat, added to he’s continued improvement at Harwich which see’s him in 2nd place overall at present. Paul Carlisle grabbed 3rd and a Gold standard with a sub 20 minute pb effort, with the help of master pacer Clive Thomas. Our new members, Jonathon Tither improved on he’s previous time, and Mark Jasper flew into the finish in just over 19 minutes an excellent start from him. But by far the outstanding effort for me goes to Graham Clarke, now up to 2nd overall, he has been making steady progress throughout the series and found a 32 second improvement, giving him a DIAMOND standard by 3 seconds with he’s 21:17, with thanks to Rob Thorpe for pacing him round, it’s all to play for with one race to go. I would like to welcome two new members Jonathon Tither (Senior) and Mark Jasper (Vet) to the club, both have started very well, with Mark smashing a silver standard in he’s 1st race with us, and Jonathon improving on he’s 1st ME race, and running a 6:50 mile in the track event at Ipswich, which I would like to say a big thank you to all who attended the excellent session led by Michael Simmons. We have 2 more track sessions lined up for this year, next one on the 24th July, and the 4th September when we can have another 1 mile time trial to finish off the summer. Coming up in July we begin with our very own Friday 5 to finish the series, the last ME is on the 15th July and we have the Geoff Day 5k on the 22nd July, in recognition of a superb athlete and member of this club, just look at the men’s top 10 performances and this man leads the way in many distances, I didn’t know him personally, but I’m very much looking forward to meeting he’s father who will be there to present the winner of the race with a fabulous trophy, and the social team are feeding us and our family’s until we are fit to burst, so please come along to run, help out or just be a part of a special night for club members. We also have Ekiden Relay’s taking place on the 12th July, a great team event, with 10 +1 Junior team’s entered, due to injuries spaces are becoming available should anyone who hasn’t registered with me still wants to take part, please get in touch. Due to its popularity I had to declare the teams early but they are still subject to change, so I will be resending to you all nearer the event. Rodger has just completed he’s 3rd trail run of the year, 14 of you attended, well done to Charlie for winning the event, with equal 2nd place to Paul C and Michael Simmons. The next one is not till August 23rd, which is a lovely 13 miler round Alton Water including a junior’s event. Some excellent performances this month in particular from Luke Groves and Paul Carlisle at Stour Valley, along with their excellent pb runs at Kirton, and ME, but here at Bentley we have some of the toughest standards in the region to achieve and when a man picks up a DIAMOND standard it’s in my opinion worthy of runner of the month, with each race he’s improved and now lying in 2nd place overall at ME can he go quicker again? I certainly believe he can, and it will take another terrific effort to improve on 21:17. 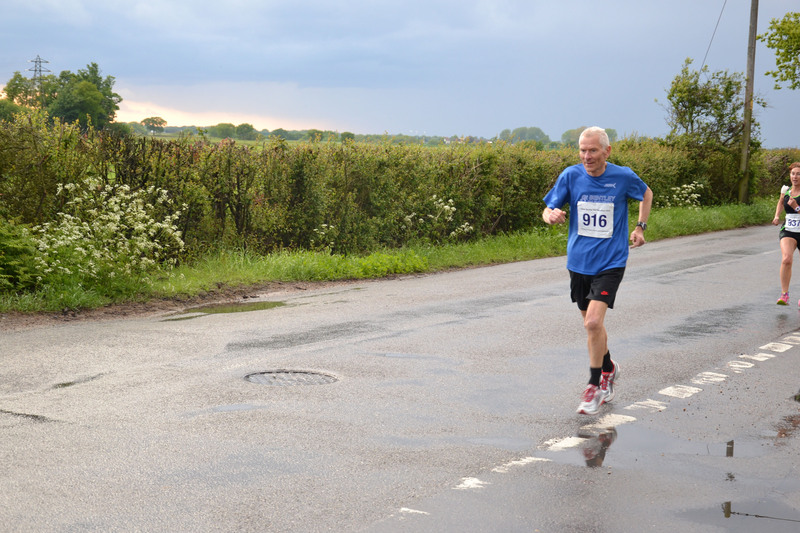 Graham quietly works away extremely hard in training, with a warm and charming personality, he’s one of our unsung heroes, this is he’s 2nd DIAMOND, following up on last year’s 10k effort, he also had a cracking run in Brian’s 5 mile Charity race. Congratulations and thoroughly well deserved Graham Clarke.